The Stroudwater Navigation, one of the country's early canals, was built in the 1770s to link Stroud with the River Severn. Within 10 years, it had become part of a through route to London when the Thames & Severn Canal opened in 1789. The canals closed in stages between 1927 and 1954. The Cotswold Canals Trust has been working to restore these canals since the early 1970s and success in attracting Heritage Lottery Funding following the formation of the Cotswold Canals partnership has resulted in a 5 mile section centred around Stroud being fully restored at a cost of about £25 million with Stroud District Council acting as the lead partner. A second HLF bid has now been successful which should see the remaining 4 mile section of the Stroudwater Navigation restored to connect the newly restored length with the Gloucester & Sharpness Canal at Saul Junction and thereby the rest of the national inland waterway network in 2023. To bring this about is not a simple task thanks to the destruction meted out upon the canal after it closed. 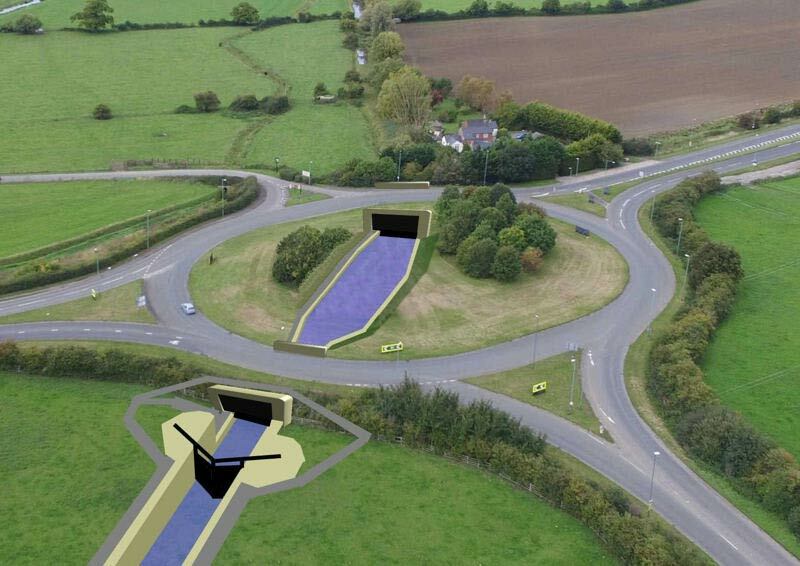 The work includes new crossings under the M5, the main Birmingham – Bristol railway and the A38/A419 roundabout as well as building a mile of new canal and two new locks. It also involves the restoration of several of the original locks, including one that was partially blown up and the design of three lift bridges, two of which will be manually operated, probably using composite plastics. Much of the detailed engineering work underpinning this latest successful HLF bid has been undertaken by a team of volunteer engineers and, apart for the railway and highway crossings, most of the work will also be carried out on the ground by volunteers. The project this time is being led by Stroud District Council with the Cotswold Canals Trust as co-lead. There remain many opportunities to get involved in this exciting project. Ken took up the position of Chief Executive of the Cotswold Canals Trust in 2008. Prior to this he had been Vice Chairman of the Trust with an involvement in the project going back to 1976. Ken's background is in high technology where he was engaged in highly innovative silicon chip design before moving into management and ultimately business. From 1993 until 2001, he was Managing Director and subsequently Chief Executive of Motion Media PLC which he led from start-up to a full listing on the main London Stock Exchange. Ken has been involved in numerous CCT projects and project managed the construction of Pike Bridge in 2005 together with securing the funding necessary to implement the project. He is also a Trustee Director of the Stroud Valleys Canal Company and a Director of the Company of Proprietors of the Stroudwater Navigation which dates back to 1730. He is Senior Steward at Eastington Methodist Church and is married with two grown up children. He is one of a team of three people managing the technical aspects of the Stroudwater Navigation Connected project.